Improve your customers’ experience and reach new customers! Learn More - Why 360? Why Us? Please use the toggle switch to view answers to the questions. To get started, we will arrange a meeting with you to discuss what you need and what you want showcased. From this meeting, we will provide a free quote for your consideration. If you decide to move ahead with your project, we will schedule a convenient time to proceed. What preparation should I do before a shoot? Make the space look exactly how you want your audience to see it! Make sure unsightly items like bins, coats and paperwork are tucked away out of sight. Essentially, just make sure the space looks clean and tidy. How do I update my existing website? If you don’t know how to update your existing website we can add the new photos for you at an hourly rate. Since all websites are not equal, we won’t be able to provide an estimate of time required, which could be from minutes to hours, until we are able to log into your site administrator. How many photos will be taken to be chosen from? A reasonable number of photos will be taken to provide options. We have ideas of our own. Can we try them? You bet! Be prepared to discuss any suggestions or requests. Let us know what you’re thinking. We are always up for trying new things. Think of your customers and what they would want to see and experience. Do I have the right to use the photographs for other purposes? Yes, you will be given the photos to incorporate onto your website, social media, ads, etc. Keep in mind that by signing the agreement provided, you will also license the use of the photos to Google who will publish the imagery. We will retain the right to use the images and 360 Virtual Tour. We need to reschedule. What is your policy? We will do our best to work with you to reschedule, but we are in an area for a short period of time. You can make 360 photos with your smartphone, but they don't have the same quality and most of the time have stitch issues. 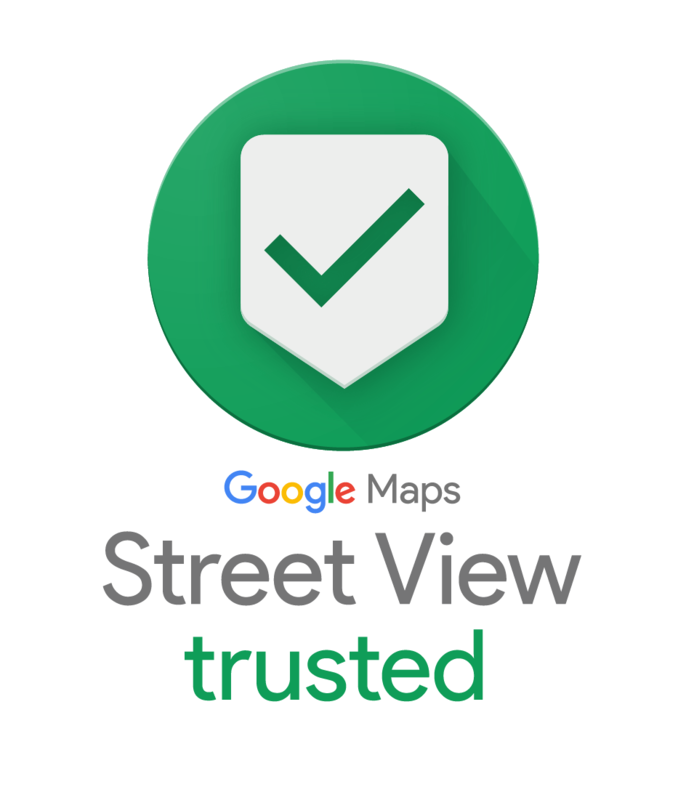 Only Google Trusted Street View Photographers can offer 360 virtual tours to be posted on Google. We protect your brand and present great imagery of your business. Why do I want to hire a Trusted Google Photographer? Only Google Trusted Photographers can create 360 virtual tours for Google. These tours can build trust with your customers by providing a high-quality virtual tour that lets people experience your location before they arrive. These immersive, virtual experiences inspire greater confidence among prospective guests and patrons. A trusted professional for hire can help you more easily create and publish your virtual tour. Trusted Photographers and Trusted Agencies are independent contractors/businesses that are not employed by Google, agents of Google or affiliated with Google in any way. Google has certified these trusted photographers because they meet Google’s standards of quality for taking the feature pictures and panoramic pictures, uploading them, moderating them and eventually publishing them on Google properties. Where does the 360 virtual tour show on Google? 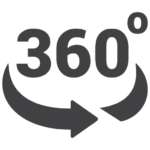 Once published, your 360 Virtual Tour may appear in a variety of Google products and services, including Google Search, Google Maps, Street View, Google Earth, Google +, and other Google products. Published content may also appear within third–party sites that use Google embeddable widgets or the Google Maps API. Do I need to have a website to leverage 360 photos or a 360 virtual tour? No, You do not need a website to take advantage of the benefits of 360 photos or a 360 virtual tour. The 360 photos and 360 virtual tour will be uploaded to Google Maps and Google Street View. There is no cost from Google for this service. Your customers will experience your business through these photos and 360 virtual tour leveraging the Google platform. The 360 photos and the 360 virtual tour can also be incorporated into your website and social media for a bigger impact. What is the difference between a still photo, a video and a 360 photo? Still images and video are flat and passive. The viewer remains an outside observer. The real strength of the internet is interactivity. 360 Photos and 360 Virtual Tours are interactive. Still images say, "Look at this, and only this." Video says, "Look at this and this and this and this and..."
360 photos say, "Experience this, interact with this!" How long does it take to complete a 360 virtual tour? This can depend on our work schedule at the time and how many tours you need. To shoot one tour can take anywhere between 30 minutes to a couple of hours. The complex part is when we stitch the images together which depending on the complexity of the room can take from just 30 minutes up to a few hours. Typically, a single tour can be developed within 1 to 2 days. 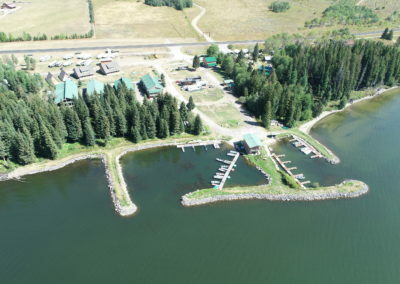 What kind of aerial photos are possible? Are you licensed to fly your drone for commercial use? Yes! We are FAA-licensed drone pilots having received the Remote Pilot Certificate from the FAA under the FAA’s Small UAS Rule (14 CFR part 107). What does a retired IBMer and a retired Capital One Database Operations Manager do in retirement? 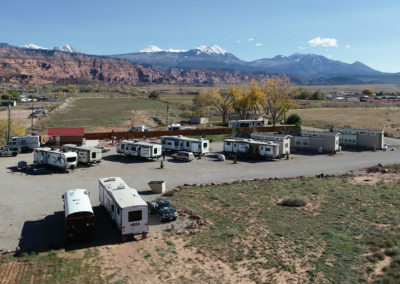 We moved into a Class A motorhome and now travel the United States full time! We have a love of photo journalism through aerial photography, 360 photos and general photography. As we travel the United States, we enjoy photographing our beautiful country and the people in it. Google Maps has enabled us to keep track of where we’ve been and what we have seen. It is through this evolutionary involvement with Google Maps that we have become a Google Trusted Photographer and are now able to offer our experience to small businesses as we travel.